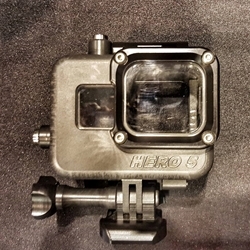 Depth rated underwater housing for GoPro Hero5 Black cameras. Fits Hero5 Black and Hero 6 from GoPro. Housing is made of Aluminum to to achieve this depth rating and prevent deformation.